Four teenagers get caught up in the midst of a deadly war between dark, ancient forces in a far away countryhouse in THE DEVIL LIVES HERE (aka: O Diabo Mora Aqui, The Fostering). Starring: Pedro Carvalho, Ivo Müller, Sidney Santiago, Clara Verdier, Diego Goullart, Pedro Caetano, Felipe Frazão, Mariana Cortines. Directed by Rodrigo Gasparini and Dante Vescio. Three friends, Ale, Magu and Jorge, go on a trip to visit their friend Apolo at his family’s farm for a weekend of fun. At the same time, Sebastião and his younger brother Luciano are getting ready to perform the spiritual ritual their family has been tasked with every nine months, for centuries. On the night the two groups meet, they find out that what they thought were scary tales becomes more than real. It is now up to them to prevent evil to be born and take over the world. 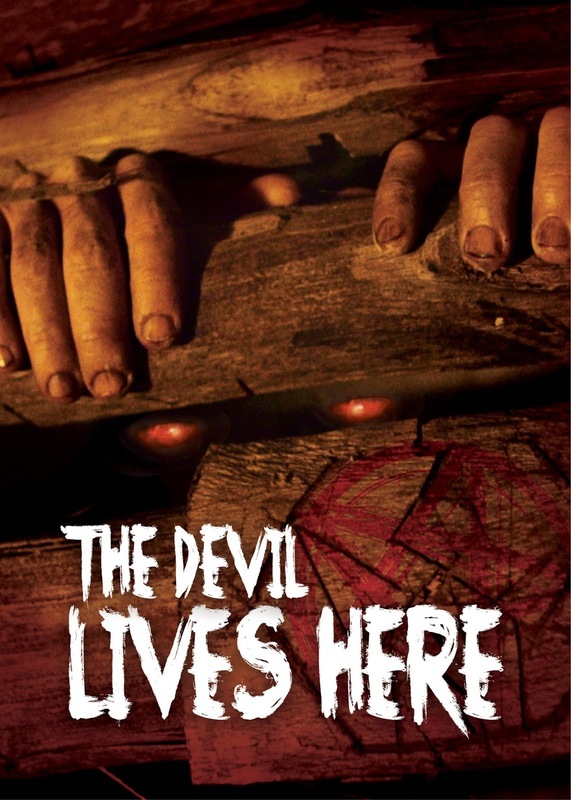 THE DEVIL LIVES HERE is out now on DVD and VOD/Streaming.